The Uniform Doman Name Dispute Resolution Policy (UDRP) celebrates its 10th anniversary this year at a time when the entire domain name system is on the cusp of change. Now seems the perfect moment to reflect on the achievements of the UDRP over the past 10 years and to assess the challenges that lie ahead for trademark owners as the Internet opens up to new generic top-level domains (gTLDs). In this two-part special, domain name experts from Silverberg Goldman & Bikoff first provide a detailed analysis of landmark rulings issued under the UDRP since its creation; WTR’s Adam Smith then examines the latest controversy surrounding the expansion of the gTLD space. In the current economic climate is defensive registration a proactive means of securing protection for global brands or a risky venture in light of well-established use requirements? Over 150 senior IP professionals attended the third WTR Industry Awards (www.Industry-Awards.com) at the stylish Greg Kucera Gallery in Seattle on May 19 2009. Representatives from the nominated teams mingled with leading private practice lawyers at the exclusive champagne reception in honour of the world’s top in-house trademark counsel. WTR wishes to thank all nominees and sponsors for helping to make the Industry Awards 2009 such a successful event. The International Trademark Association’s (INTA) annual meeting is still the most important – and busiest – event in the trademark community’s calendar. This year the conference returned to Seattle for the “greenest annual meeting” ever, as Katrina Burchell, head of trademarks at Unilever and co-chair of the meeting, explained at the opening ceremony. “We live in a competitive world,” Burchell said. “Trademarks are key to winning that battle, so brands are jumping on the environmental bandwagon.” INTA leapt on board too this year, with its special theme of corporate social responsibility. In this section, WTR looks at some of the meeting’s many highlights, so numerous that one delegate said she was “too busy to sleep!”. As part of its continuing efforts to protect well-known marks, the Adjudication Committee of China’s Supreme People’s Court has issued an “Opinion on Certain Issues Concerning the Protection of Well-Known Marks in Civil Disputes”. Cosmetics giant L’Oréal was involved in three eagerly awaited decisions from courts in Europe in the past few weeks – but with mixed results. The US Court of Appeals for the Second Circuit has ruled that unique product codes (UPC) are protected under trademark law (Zino Davidoff SA v CVS Corporation (Case 07-2872-cv, June 19 2006)). It is a breakthrough in the fight against counterfeit and greymarket goods. Trademark managementIs there a fiduciary claim in relation to licences? The Indian Intellectual Property Office is putting together a manual on trademark practice and procedure which provides thorough guidelines on the requirements to register non-traditional marks. This article examines the latest proposals in detail. Even though the traditional view that trademarks can consist only of visual signs lingers in Romania, shapes, sounds and colour combinations may be registered as trademarks. Case law regarding other non-traditional marks, however, remains limited. 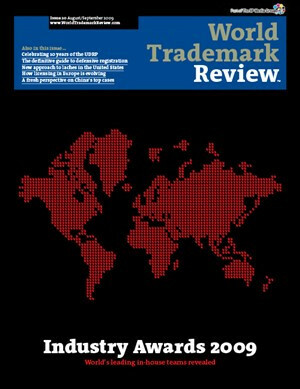 Spanish trademark law and practice are bound by EU regulations and case law. However, the Spanish Patent and Trademark Office is even more reluctant than the EU trademark bodies to register unconventional marks. The definition of ‘trademark’ in Mexican law is restricted to signs that can be perceived visually. In practice, the Trademark Office narrows this definition further – for instance, by not granting registration to colours unless they are combined with other distinctive elements. The protection afforded to non-traditional trademarks in Benelux is governed in large part by EU regulations and case law. However, Benelux courts are often prepared to grant protection where the EU instances are not. In principle, any sign that is distinctive and can be represented graphically may be registered as a trademark in Denmark, but these requirements often prove to be insurmountable hurdles for non-traditional marks. Three-dimensional trademarks can be registered in China as long as they are distinctive and non-functional. However, trademark owners should be aware that similar shapes may already have been registered as patent designs. The conservative approach of the Patent and Trademark Office and the courts to the protection of non-traditional trademarks, as well as limited national case law on the issue, mean that much remains to be clarified with regard to the scope of protection of such signs. Israeli law recognizes a broad range of signs as being registrable as trademarks. However, the Trademark Office’s practice on this matter is rather restrictive. Three-dimensional shapes can be protected under trademark, industrial design and/or copyright law in Canada. To obtain immediate and comprehensive rights, brand owners should consider an integrated strategy combining all three protection schemes. Part IV of Russia’s Civil Code provides for the registration of an array of non-traditional trademarks. But graphical representation may be an issue in some cases. Although a number of non-traditional signs are protectable as trademarks under EU law, Portuguese law and practice are rather more restrictive. are, by and large, protectable in Norway, with the restrictions imposed across the European Union also applicable in this non-EU country.